Are you prepared for the warmer temperatures that will be hitting our region? If you haven't done so already, it's finally time to think about that air conditioning system that has been sitting through the winter. 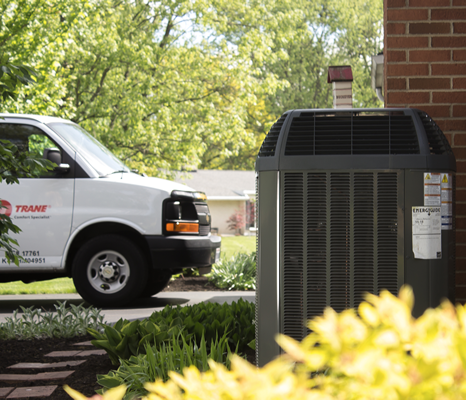 Homeowners in the Dayton, Columbus and Cincinnati areas will want to make sure that their cooling systems are fully functional and ready to keep their families comfortable for the upcoming season. It is good to change out or clean furnace filters once a month during spring and summer (common allergy seasons). Spring cleaning is the perfect time to update all filters and begin to breathe easy again. ---> If this is the year to consider improving your indoor air quality, check out our clean air products and let our team know if we can help answer any questions! Even though the temperatures outside have been comfortable recently, we HIGHLY RECOMMEND that you turn on your A/C sometime this week and let it run for a bit to ensure there are no issues. Check for malfunctions, temperature accuracy and proper operation. ---> We would rather identify and address an A/C issue on a mild-weathered day than on the first 80+ degree day of the year. Contact Logan Services for help with any air conditioner repairs. Once you turn your system on to confirm that the cooling mode is operating, you'll want to contact your HVAC professional as soon possible to schedule for your seasonal A/C tune-up. A cooling system maintenance appointment has many benefits. This annual visit can help prevent spring or summer A/C breakdowns, and it can also extend the life of your unit by addressing any small problems that can often go unnoticed and cause unnecessary wear and tear on your system. ---> If it's been a while since you've had an air conditioner tune-up, now is a great time to start! See our coupons available and book your A/C maintenance appointment today! Being proactive with these A/C tips can help keep your home comfortable this cooling season. Let us know how our fast, friendly team can help with any cooling repair, replacement and routine maintenance needs you have this season!